Line your baking tin with silicon paper or parchment paper so that the sides are covered too. Melt the butter, chopped California prunes, salt and sugar in a saucepan until it begins to simmer. Remove from the heat and add the broken up chocolate whisking well. This mixture will look split and a little odd but this is correct. Whisk the eggs and strain onto the chocolate mixture mixing well until smooth. Now add all the flour and mix very well. Pour into your baking tin and level out. Spoon on the hazelnut paste drizzling over the surface and gentle mixing into the batter to marble. 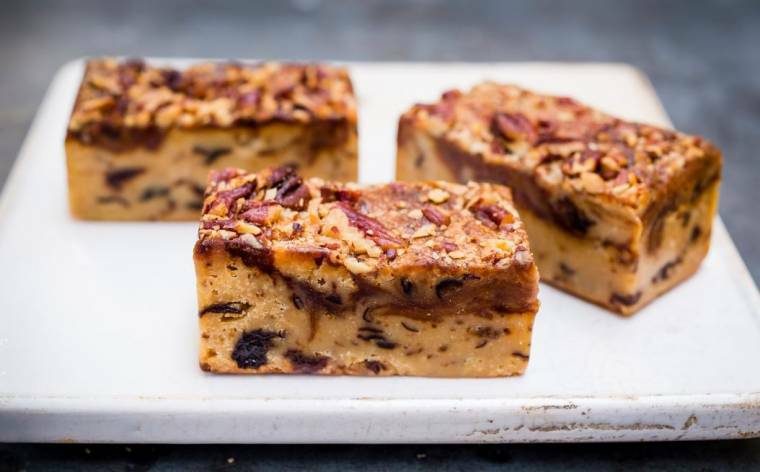 Scatter the top with pecan pieces and bake for 15 minutes. Then turn the Blondie and bake again for a further 10 to 15 minutes. The Blondie is ready when it has a wobble but isn’t liquid in the centre. Allow to cool then refrigerate overnight. Next day turn out of the tin, remove the paper and cut off the edges of the Blondie as these will be too dry and over baked. Cut the remaining Blondie into rectangle portions using a hot wet knife. Enjoy at room temperature and store in the fridge in an airtight container for up to one week. This is a guest post. 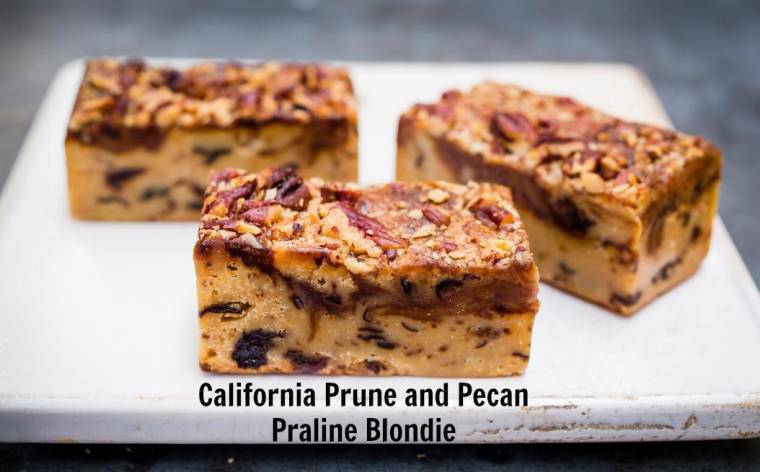 Recipe and photo credit by California Prune. No payment was received.